Recently during our travels to share our ministry vision with a church in Florida, I spoke with someone in management at Disney who is knowledgeable of Disney’s operating best practices. I informed him about my first trip to Disney World with my wife and children and of an unfortunate circumstance that befell us while we were at the Magic Kingdom. My purpose for telling him about this situation was to commend Disney on their amazing customer service. 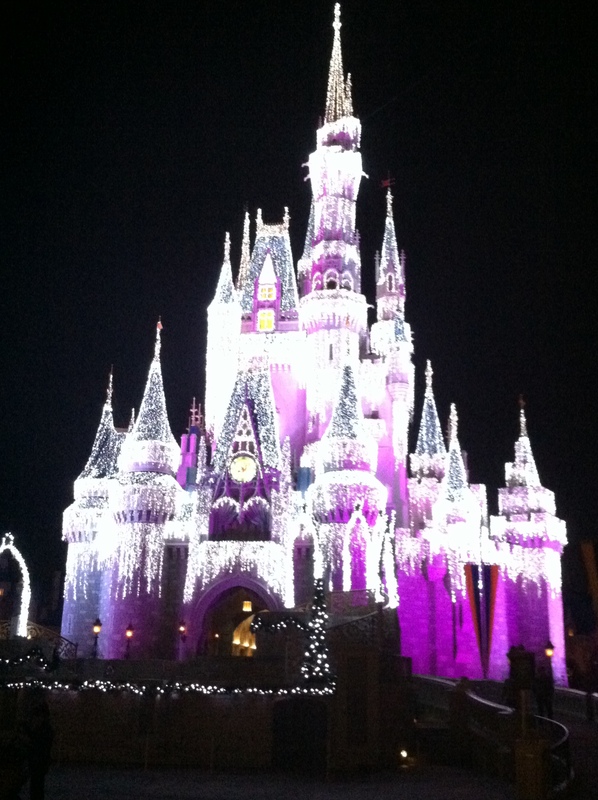 They went above and beyond to satisfy our family and to help make our experience at Disney World one of the best ever. What this Disney management person relayed to me is that all cast members (that’s what all the park employee’s are referred to) are empowered to satisfy the needs of the customer – the park patrons. The cast members don’t have to ask higher up management for approval to satisfy a customers need, they can make the decision to act and meet their need right there on the spot. That percolated around in mind for a while and I began seeing similarities in the Christian walk and faith. Every Christian is empowered by the Holy Spirit, through Jesus Christ, to share the message of the Gospel with other people. When presented with an opportunity to share the hope we have in Jesus we don’t have to say, “STOP”! I’ll have to ask you to speak with my pastor (or Elder, or lay person, or Sunday School Teacher). No! We are empowered to personally share the most amazing news ever with that person right then and there. Isn’t that awesome?! And all Disney cast members are there to help the customer have an amazing experience. Aren’t Christians called to do the same thing? Because of what Jesus has done for us, shouldn’t we live in a way that causes people to wonder why? Shouldn’t we interact with our non-believing friends in a way that glorifies Jesus and makes people want to know him? I hope you hear me. I’m not saying that as Christians we need some slick marketing campaign. I’m simply saying we have something of better worth than Disney could ever offer and we are empowered and commanded to share it with others. Empowered by the Holy Spirit through Jesus Christ. Now that really is just awesome! This entry was posted in Uncategorized and tagged Discipleship, Faith, Gospel, Jesus, Missions. Bookmark the permalink.